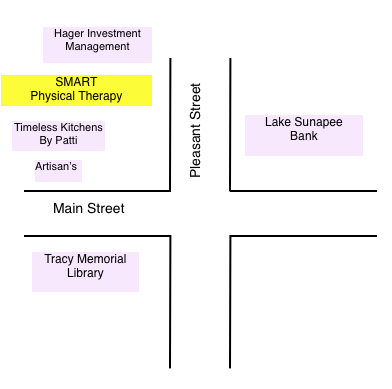 SMART Physical Therapy is an independent Physical Therapy clinic founded in 2011 with goal of bringing an outpatient practice to the New London area that would be renown for outstanding patient care, advanced clinical practices, and exceptional results. At SMART PT we will provide excellent "Hands On" care but also empower patients to manage their conditions independently through cognitive and movement education to restore normal function. We will listen to their story and treat their own unique causes of their condition, not their symptoms. We understand the importance of treating the person with their own history, beliefs, and circumstances that can affect their recovery. Most acute spinal pain injuries are simple tissue injuries that calm and heal pretty much on their own . Some disorders of the spine do not settle within expected healing time and there are many factors that may contribute to one's pain experience. Structural injury or pathology (only in 10% of cases). A disc injury would be an example. Nervous system changes that result in lowering your pain tolerance - meaning that things that wouldn't normally hurt you do cause pain now! Genetic factors - these can actually be influenced by what we do throughout our lives. The combination of these issues are different for every patient who presents with pain. At SMART Physical Therapy we are focused at looking at the YOUR whole story and trying to find the underlying cause of your pain rather than treating symptoms. We will develop treatment and management approaches for improving your function and managing your pain . The emphasis will be on teaching you to care for yourself and be in control of your own health. Why SMART Physical Therapy for your Low Back Pain? 1. At SMART PT you will receive care from an experienced Physical Therapist who has trained under some of the worlds leading clinicians in this area and is trained in the latest approaches such as Peter O'Sullivan's Cognitive Functional Therapy. Tim has had the opportunity that only a few have had in this country, being trained by one of the leading clinicians and researchers in Low Back Pain in the world today, Peter O'Sullivan of Curtain University. 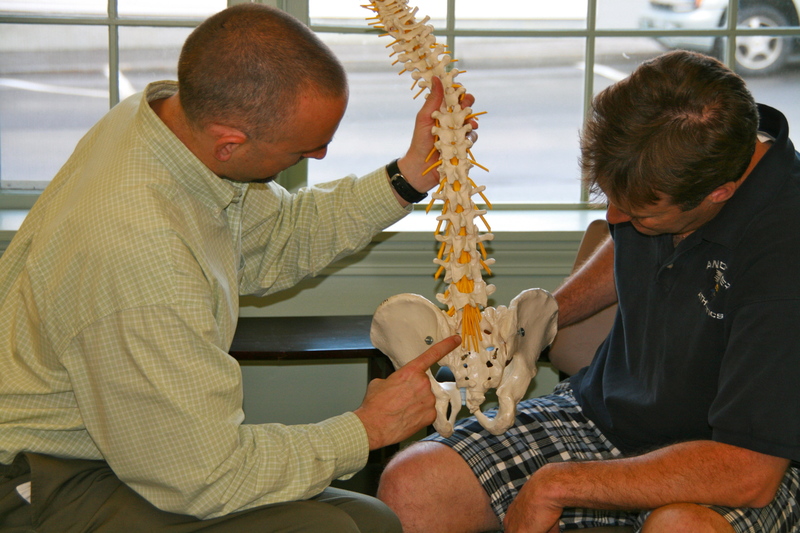 Tim has witnessed Peter assessing and treating clients during these courses which significantly impacted his approach and success in treating spine patients. Tim has been to the last two Interdisciplinary World Congresses on Low Back Pain and Pelvic Pain, in Barcelona in 2007 and in Los Angeles in 2010. He attended presentations on the latest research and clinical approaches to treating Low Back Pain from the worlds experts and had opportunities to speak and form relationships with these experts. 6.7 times more likely to be in the low utilization category (takes less visits to succeed with patient). 3. You will be treated by a Therapist with significant Manual Therapy skills and experience. Tim McCullough has the ability to assess joint motion and treat with soft tissue work as well as perform joint mobilization and manipulation. At Sports and Spinal Physical Therapy in Washington DC, Tim's patients were often people who had chronic Low Back Pain and had failed with other Physical Therapy or other medical approaches. With the help of his mentor, Peter Boyle and other spine experts at the clinic, Tim developed advanced treatment skills in the treatment of Low Back and spine pain. At SMART Physical Therapy you will get SPINE CARE from a multifaceted approach that considers all the possible causes of your condition. What is Manual Therapy? Manual Therapy is a "Hands On" approach to assessing and treating a client. It is just one piece of the puzzle that allows a Physical Therapist to have success in treating patients, but a very important piece that not many Physical Therapists have acquired. Why is that? Successfully acquiring advanced Manual Therapy skills comes only after repeated failure in the attempt. My Mentor, "the late' Peter Boyle, explained to me that it can take years of daily practice with every patient before one might feel they have become proficient at the skills. He was correct, it took 4-5 years for me, even with the daily mentoring from this master of the craft. Even now I have difficulty with the more subtle cases, but that is when the other pieces of the assessment provide the clues to help achieve a successful outcome with a client. I owe my development in Manual Therapy to Peter, who was "the Guru" of Physical Therapy in Washington DC for over 10 years. He was taught by the true pioneers of Manual Physical Therapy while training in New Zealand and Australia. He brought a passion for the profession and for learning that could be matched by no one. He was a mentor in the truest sense of the word. He would interrupt treatment to bring me in to show me unusual conditions and specific treatment techniques with his clients . He encouraged me to grab him anytime I needed help with a client or treatment technique. Boy did I ever, making the man run late nearly everyday. The experience was invaluable. By surrounding me with experts in all approaches to Manual Therapy in hiring other highly trained Manual Therapists of different backgrounds (McKenzie Trained, Maitland Trained, Kaltenborn Trained, Paris Trained) many who were Fellows of Manual therapy. By having an unlimited continuing education budget and sending me to courses and conferences all over the country. He guided my selection of courses giving me the broadest exposure in Manual Therapy that one could receive. By allowing me to help him teach his Manual Therapy courses, further refining my skills by teaching others. 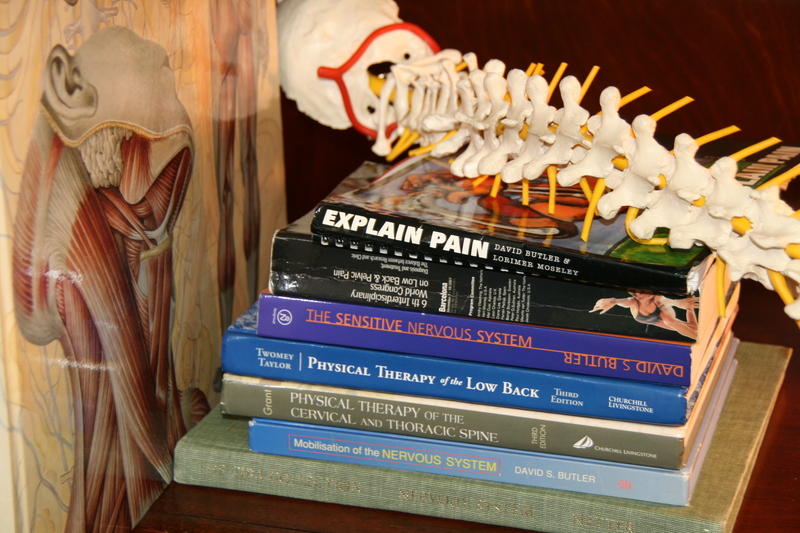 What are some of the Manual Therapy skills that will be used at SMART Physical Therapy? At SMART Physical Therapy we value hands on care and assessment but recognize it is more important to teach the patient to help themselves as soon as possible. Tim McCullough has been working with Athletes for 27 years, starting as a student Athletic Trainer in the Springfield College Sports Medicine Program. Since that time Tim has worked with nearly every sport there is from Football to Fencing and from Wrestling to Ballet. He has been a Certified Athletic Trainer for nearly 23 years and has worked with Youth level, High School, College, Olympic and Professional Athletes. He has worked daily with Athletes in the high School and Sport Camp settings and treated athletes of all levels in an outpatient Physical Therapy environment. Tim works seamlessly with Parents, Coaches and Athletes to achieve a successful balance of athletic performance and client safety. Tim's experience working with athletes started as a student Athletic Trainer in the Springfield College Sports Medicine Program. Tim was a former High School athlete who went to Springfield College to be a Physical Education Teacher and Coach, with the goal of being a College Basketball Coach. He was introduced to the Athletic Training Program his Freshman year and applied to the program. Tim was accepted into the program and graduated with a Degree in Physical Education and Athletic Training in 1987. At Springfield College Tim had team assignments with Varsity Soccer, Basketball, Football, Lacrosse and was involved in treating athletes from many sports. In the summer of 1986 Tim was asked by the new head coach at Springfield to be the Athletic Trainer for a Summer Professional basketball team, the Westchester Golden Apples of the United States Basketball League. He returned his Senior year and completed an Internship in Athletic Training at Deerfield Academy under the guidance of Hall Of Fame Trainer Chuck Demers. After graduation Tim took a job with ATRA Sports Medicine in Paramus NJ and worked at their Physical Therapy clinic and was placed as the Athletic Trainer at Elmwood Park High School. The following year Tim took a job as a Teacher and Athletic Trainer at Lakeland High School in Wanaque NJ. He worked there for 3 years before getting into Old Dominion University's Physical Therapy Program. Tim also worked in the summers gaining a broad range of experiences. He worked at The Cosmos Soccer Camp, The Berkshire Hockey School, and one summer he worked for a group of Orthopedic Surgeons in New Jersey. Tim continued to work with Athletes once he became a Physical Therapist. In 1996 he was invited to work at the First Round of the 1996 Olympic Soccer Tournament that was held in Washington DC. At Sports & Spinal Physical Therapy Tim worked with The Washington Ballet, The Junior Tennis Champions Center , Bethesda Chevy Chase Baseball, and Xtreme Acceleration Sports Performance. He also had the opportunity to treat WNBA and NBA players. Tim was involved in community outreach programs for many sports including Running, Rugby, Youth Basketball, Tennis, Baseball and Ultimate Frisbee. 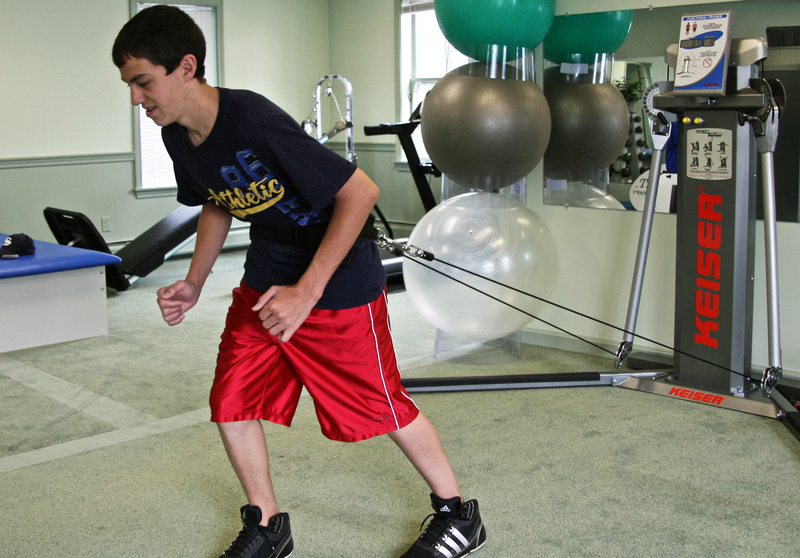 At SMART Physical Therapy we want our Athlete's to reach their full athletic potential. We also recognize to do so we must progress them safely, restore their normal movement patterns and their confidence, and reduce their fear of re-injury. Tim McCullough graduated with a Health and Physical Education Teaching Degree from Springfield College in 1987. Springfield College is considered one of the top schools in the country in this area of education and produces some of the finest Teachers and Coaches in the United States. Tim taught Health and Adapted Physical Education at Lakeland Regional Hiigh School in New Jersey, where he developed his skills in teaching Physical tasks to people with cognitive, behavioral, and physical disabilities. Tim learned how to carefully progress people of all learning abilities in physical skill acquisition. He honed his teaching techniques, using verbal cueing, visual and tactile inputs, and other specific methods he was taught at Springfield. 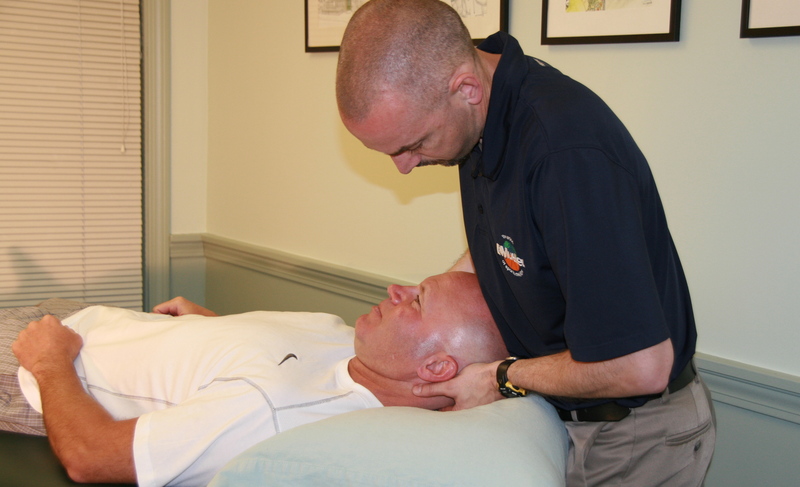 In Physical Therapy School Tim worked in the Student Health Center at Old Dominion University as a Health Educator. At his first two positions as a Physical Therapist he helped teach Courses with both Carole Lewis PhD (Geriatric Specialist) and Peter Boyle (Manip Therapist), two highly respected Professionals in their specialty. Tim has done many Educational out reach programs in the community including Baseball, Tennis, Golf, and Basketball Injury Prevention presentations, Running clinics, and inservices on Low Back Pain, Headache and Jaw pain. He has also done guest lectures at Colby Sawyer's Athletic Training Program. Tim is an avid reader of the latest research, attends advanced courses and conferences, and enjoys teaching and learning from other Therapists. It is our responsibility to stay up on recent advances in our field. Tim has studied under Peter O'Sullivan PhD, who is a leading researcher in the area of chronic low back pain. His research in Cognitive Functional Therapy is showing encouraging results in the treatment of chronic spinal conditions. The changes in healthcare make it even more important that clinicians teach clients effectively to allow them to manage their condition and implement their treatment plan more independently reducing the number of visits necessary to achieve successful outcomes. Teaching is the most important part of being a Physical Therapist. To educate the client to understand the cause of their condition, how to successfully manage it, and to empower them to heal themselves. We are conveniently located in the center of New London in the Kidder Building at 11 Pleasant Street.